Not long ago, when groups like Lev Tahor, Six13 and A.K.A. Pella were releasing their first albums, one of the most progressive acappella albums of all times was released. The name of the album was Acappella Treasury: Shabbos, presented by Sameach Music and acappella guru Jordan B. Gorfinkel. Gorf is the musical genius behind groups like Kol Zimra, Beat’achon and more recently Pella Singers. The collection, 21 tracks in all, featured breakthrough acappella for its time including 10 new songs, 10 classics and an impressive 18 stars. The roster included: Kol Achai, Beat’achon, Six13, Lev Tahor, Abie Rotenberg, Yehuda!, Kol Zimra, Noah Solomon, 8th Day, Ophie Nat and more. Since then, music and acappella fans have been amazed with the entertainment and quality level of acappella that has been released. New groups and singles have helped grow the a cappella field and heighten the level of professionalism. Now the time has come for the release of the next level of acappella evolution. 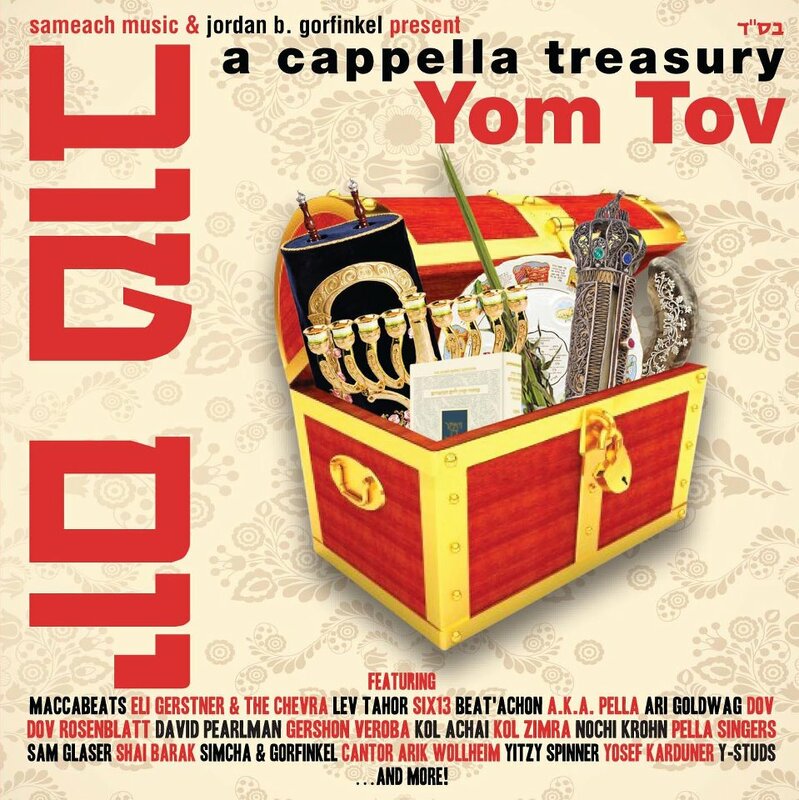 Sameach Music and Jordan B. Gorfinkel present Acappella Treasury: Yom Tov. Just like the first in the series, this album also includes several new compositions and well as many classics including several songs previously released as singles. The hit lineup includes names like the Maccabeats, A.K.A. Pella, Six13, Eli Gerstner and The Chevra, Lev Tahor, Pella Singers, Gershon Veroba, Kol Achai, Ari Goldwag, Nochi Krohn and more. Acappella Treasury: Yom Tov songs cover nearly every Yom Tov festival and holiday from Rosh Hashana to Pesach, Simchat Torah and Shavuoth, and also Chanukah and others. So this Sefira/acappella season, choose the CD sampler of not just one great artist but more than a dozen: A Cappella Treasury: Yom Tov.